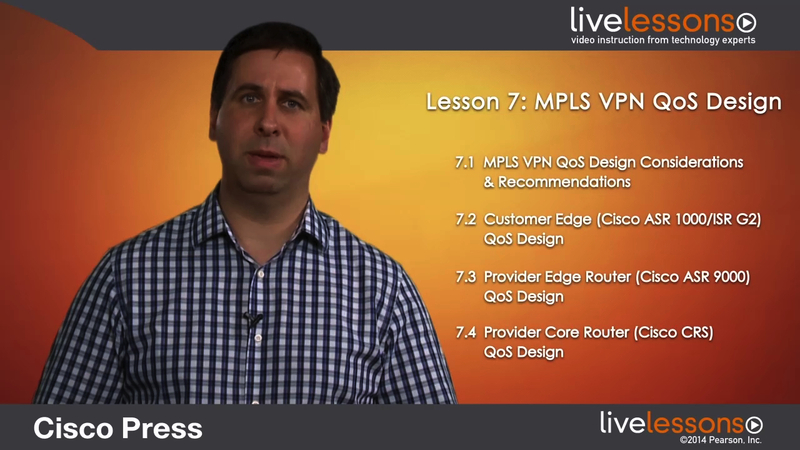 This lesson continues the wide-area discussion but addresses QoS strategies for MPLS VPN networks, taking the perspectives of both the enterprise customer and the service provider into account in the overall MPLS VPN design. Designs are presented for enterprise customer-edge (CE) routers, provider-edge (PE) routers and provider core (P) routers. This section features the Cisco ASR 9000 series routers, as well as the Cisco Carrier Routing System (CRS).